The Ari Zip Up Fleece Jacket is made from a french terry and sweater knit. Cut for a standard fit, design features of this moto-style jacket include contrast sweater knit back panel and hood lining. 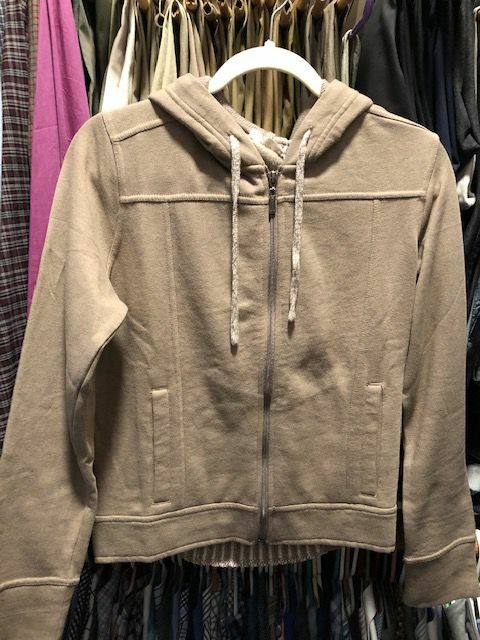 Teresa G. Reviewed by Teresa G.
Nice Quality zip up. Pretty design on the back. Gave 4 stars as the top runs on the short side. This is my favorite go to hoodie! I got it in the black & had no idea how nice the back of it is. It washes very nicely on gentle and it keeps its shape and is so unbelievably soft & warm. In love want to get another color! cheryl f. Reviewed by cheryl f.
I love this shirt. It looks great with jeans and leggings!! I bought this Prana hoodie for my wife and she loves it. It's light weight and stylish. The back has a sweater knit design.